By Train: we are at a walking distance from the Termini Railway Station of Rome (150 meters), from there you have good connections with all the main bus and underground lines. From Termini follow Via Cavour-Piazza Dell'Esquilino. 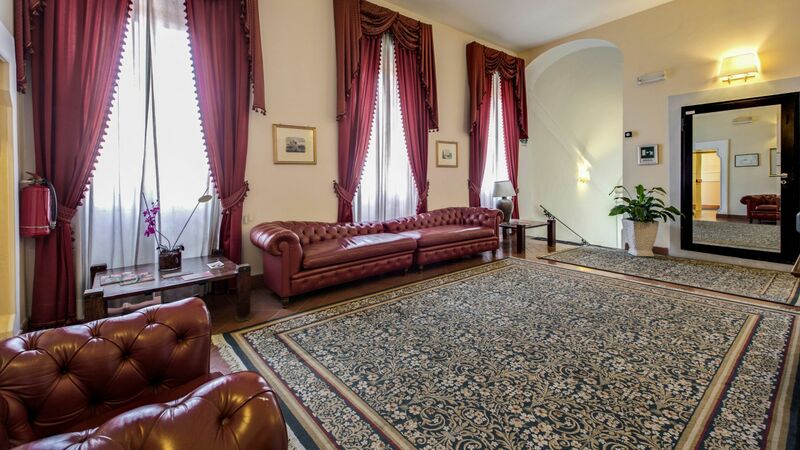 Turn left in Via Liberiana, the Hotel Antico Palazzo Rospigliosi is at number 21. From Leonardo da Vinci (Fiumicino) Airport: there is a train shuttle that runs every 20 minutes, and which will take you directly to Termini Railway Central Station. It is very fast, as it takes only 30 minutes. Then follow the above indications. From Ciampino Airport: Bus + Train. A shuttle bus COTRAL connects Ciampino Airport with Ciampino Station; every 15 minutes there is a train link with the Air Terminal located at Termini Railway Station. When you are at Terminal Railway Station take the exit to via Giolitti and from there follow the above indications. Alternatively, you can take the Terravision shuttlebus which drops you off in Via Marsala i.e. the other side of Termini from where we are but it's just a few more minutes walk to our hotel and besides didn't someone say that exercise is good for you!